Since the advent of coalition politics, regional and smaller parties have played a major role in determining the course of India’s politics. While some smaller parties are legally national parties, many are restricted to a particular state. While BSP, Trinamool Congress, NCP CPI and CPM satisfy the requirements for being recognised as a national party, their influence nevertheless is restricted to only a few states. On the other hand, the Samajwadi Party, RJD, RLD, JMM, JVM(P), AAP, DMK, AIADMK, SAD, Shiv Sena, TDP, YSRCP and TRS are recognised as state parties. While the focus of the media has generally been on the two major parties, Congress and BJP, the ongoing political dynamics calls for greater attention towards smaller players. Here is a look at the key candidates from smaller parties across India. Satbir Nagar, a Gujjar leader, will be the mahaghatbandhan’s candidate in Gautam Buddh Nagar. Prior to being declared as a candidate, Nagar was the BSP's in-charge for Gautam Buddh Nagar. Malook Nagar will contest the election as a mahaghatbandhan candidate from Bijnor. Nagar, a Gujjar leader, will take on sitting BJP MP Kunwar Bharatendra Singh. Nagar, a successful dairy business owner from Uttar Pradesh, had declared assets worth Rs 289 crore during the 2014 elections. In that year, he had lost the election from Bijnor. Manoj Soni will contest the election from Agra. Soni was made the party in-charge for the Agra Lok Sabha constituency in November 2018. In the 2014 elections, Soni had lost to the BJP candidate in Hathras but garnered enough votes to finish second. Haji Fazlur Rahman will contest from Saharanpur Lok Sabha constituency. Rahman is contesting the Lok Sabha elections for the very first time. He fought the 2017 mayoral elections in Saharanpur and came second. Former JD(S) general secretary Danish Ali will contest from Amroha, which has a significant Muslim population. Ali, who was instrumental in finalising the post-poll alliance between the JD(S) and the Congress, reportedly joined the BSP with the consent of Karnataka chief minister HD Kumaraswamy. A close confidant of former prime minister Deve Gowda, Ali entered active politics as a student leader in 1994. Devendra Yadav rose to prominence after defeating long-time BJP MP Mahadeepak Singh Shakya in 1999. He was re-elected in 2004. In the 2014 elections, he lost to Kalyan Singh’s son Rajveer Singh. Yadav, who is considered a local strongman, heads the Kasganj unit of the Samajwadi Party. Anand Sen Yadav has been granted a ticket to contest from Faizabad, which includes the holy town of Ayodhya. Yadav has been a party hopper. He was first elected as an MLA from Samajwadi Party in 2002 before moving to the BSP in 2007. Yadav also served as a minister in the Mayawati government but was forced to resign after being accused of abducting and murdering a Dalit woman. He later re-joined the Samajwadi Party. Yadav is the son of former three-time Faizabad MP Mitrasen Yadav. 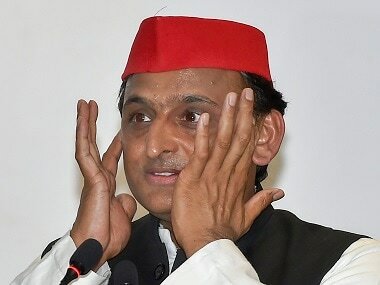 Akhilesh Yadav is the national president of the Samajwadi Party. He served as the chief minister of Uttar Pradesh after his party won a comfortable majority in the 2012 polls. He lost power to the BJP in 2017 after his party, which was in an alliance with the Congress, won just 47 seats in the 403-member Assembly. Son of Samajwadi Party founder Mulayam Singh Yadav, he began his political career by winning the Kannauj Lok Sabha seat in a by-election in 2000. He continued to hold the seat until 2012, when he shifted to state politics. The wife of Samajwadi Party chief Akhilesh Yadav, Dimple Yadav entered electoral politics by winning the Kannauj Lok Sabha bypoll uncontested in 2012. In the 2014 elections, she won her seat by a margin of only 19,907 votes. Mulayam Singh Yadav, the founder-patriarch of the Samajwadi Party, is the sitting MP from Azamgarh. He served as the chief minister of Uttar Pradesh for three : 1989-1991, 1993-1995 and 2003-2007. He has also served as the defence minister of India in the United Front government between 1996 and 1998. He was first elected from Mainpuri in the 1996 elections. In the 1998 and 1999 elections, he was elected from Sambhal. Akshay Yadav will be seeking re-election from Firozabad in the upcoming elections. He is the son of senior leader Ram Gopal Yadav. In 2014, he was elected from Firozabad by a comfortable margin of over 1.1 lakh votes. 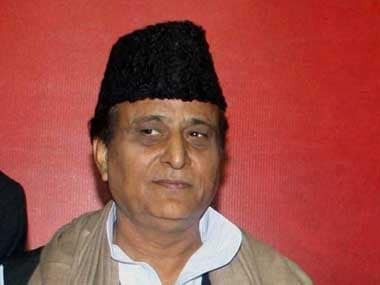 Senior Samajwadi Party leader Azam Khan will fight from his pocket borough of Rampur. He has represented Rampur in the state Assembly since 2002. He also represented Rampur between 1980 and 1995. A prominent figure in state politics, Khan has served as a minister in the Mulayam Singh and Akhilesh Yadav governments. Shyama Charan Gupta will contest from Bundelkhand’s Banda Lok Sabha constituency. Gupta is the sitting MP from Allahabad, having won the seat on a BJP ticket by a margin of over 62,000 votes. He previously represented Banda in the 14th Lok Sabha as a member of the Samajwadi Party. A prominent businessman, he has also served as mayor of Allahabad between 1989 and 1993. Tabassum Hasan, the sitting MP from Kairana, will contest the upcoming election on a Samajwadi Party ticket. She won the 2018 bypoll, necessitated due to the death of sitting MP Hukum Singh, as a candidate of the Rashtriya Lok Dal. 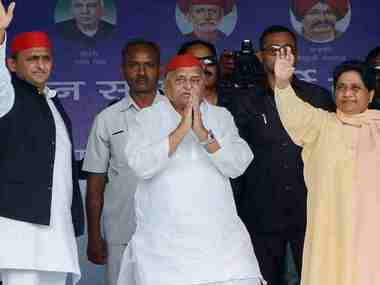 Hasan also represented Kairana in the 15th Lok Sabha as a member of the BSP. Veteran politician Ajit Singh will contest from Muzaffarnagar in the upcoming elections. A six-term member of Parliament from Baghpat, Singh entered politics following the death of his father Charan Singh, the former prime minister of India. He has served as a minister in the Cabinets of VP Singh, PV Narasimha Rao, Atal Bihari Vajpayee and Manmohan Singh. Jayant Choudhary will contest from Baghpat against sitting MP and Union minister Satyapal Singh. Choudhary previously represented Mathura in the Lok Sabha, which he lost to actor-turned-politician Hema Malini in the 2014 elections. He is the son of RLD founder Ajit Singh. Former Union MoS S Jagathrakshakan will contest from Arakkonam. He previously represented the constituency in the 13th and 15th Lok Sabha. Jagathrakshakan served as Minister of State in the Council of Ministers led by Prime Minister Manmohan Singh between 2009 and 2013. He began his career as an AIADMK legislator in 1980. In the 1984 elections, he won from Chengalpattu Lok Sabha constituency and served as the AIADMK parliamentary party leader. In the 1990s, he left the AIADMK to join the DMK. Kanimozhi will be contesting her maiden Lok Sabha election from Toothukudi. Currently serving her second term in the Rajya Sabha, Kanimozhi is considered the DMK’s face in New Delhi. Born to former Tamil Nadu chief minister M Karunanidhi and Rajathi Ammal, Kanimozhi worked as a journalist before entering the political arena. Senior DMK leader A Raja will be contesting from Nilgiris for the third time in his career. In the 2014 elections, Raja lost to AIADMK’s C Gopalakrishnan. Between 1996 and 2009, except in the 12th Lok Sabha, he represented Perambalur Lok Sabha constituency. Considered a protégé of M Karunanidhi, Raja served as an MoS in the Vajpayee Council of Ministers between 1999 and 2004. He was promoted to the Cabinet rank in 2004 and held portfolios like environment and forests, and IT and communication. A key accused in the 2G spectrum case, Raja was acquitted by a special court in 2017. Former Union minister TR Baalu will contest elections from Sriperumbudur, a constituency he represented in the 15th Lok Sabha. A veteran DMK leader, Baalu began his parliamentary career in 1986, when he was elected to the Rajya Sabha. He represented Chennai South in the 11th,12th,13th and 14th Lok Sabha. He served as a minister under four different prime ministers – Deve Gowda, IK Gujral, Atal Bihari Vajpayee and Manmohan Singh. Former Union minister Dayanidhi Maran will contest from Chennai Central Lok Sabha constituency. He previously represented the constituency between 2004 and 2014. He lost the seat to SR Vijayakumar of the AIADMK in the 2014 Lok Sabha elections. Maran, son of late Union minister Murasoli Maran, served as the Minister for Communications and Information Technology in the Manmohan Singh Cabinet. SS Palanimanickam will contest from Thanjavur, which had elected him consecutively between 1996 and 2009. After the UPA came to power at the Centre, he was sworn in as a junior minister for finance – a position he held until 2013. Senior AIADMK leader KP Munuswamy will contest from Krishnagiri constituency, from where he had been elected to the 12th Lok Sabha. He was elected to the Tamil Nadu Assembly in 1991, 2001 and 2011. He served as minister for municipal administration and rural development in J Jayalalithaa's cabinet between 2011 and 2014. Veteran parliamentarian M Thambidurai will seek his third consecutive term from Karur. He is presently the Deputy Speaker of the Lok Sabha, a role he also played in the 8th Lok Sabha. Thambidurai began his career as a youth leader and entered the Legislative Assembly in the late 1970s. He was first elected to the Lok Sabha from Dharmapuri in 1984. He shifted to Karur in the 1989 elections and won. Thambidurai served as a minister in the Vajpayee Cabinet between 1998 and 1999. Between 2001 and 2009, he was an MLA representing Bargur in the state Assembly. In the second Jayalalithaa government, Thambidurai served as minister for education. J Jayavardhan will seek re-election from Chennai South. In the 2014 elections, he defeated DMK heavyweight TKS Elangovan by over 1.3 lakh votes. At 26, he became one of the youngest MPs in India. He is the son of Tamil Nadu minister D Jayakumar. P Venugopal will seek his third consecutive term in the Lok Sabha from Tiruvallur. He was first elected to the Lok Sabha in the 2009 elections. In the 2014 elections, he defeated VCK candidate Ravikumar to retain the seat. At present, Venugopal is the leader of the AIADMK in the Lok Sabha. Former Union minister Ashok Gajapathi Raju will contest from Vizianagaram in Andhra Pradesh. In the 2014 elections, Raju had won by a margin of over 1 lakh votes. Subsequently, he was made a Cabinet-rank minister and given the civil aviation portfolio. He left the Cabinet when the TDP decided to end ties with the BJP. He was a member of the Andhra Pradesh Legislative Assembly for nearly three decades, during which he held a number of ministerial responsibilities. Galla Jayadev will seek-re-election from Guntur. This will be the industrialist-politician’s second Lok Sabha contest. In the 2014 elections, he won the seat by over 60,000 votes. Jayadev is the managing director of Amara Raja Group, which develops advanced industrial batteries. In the 2014 election affidavit, he had declared assets worth over 600 crores. Actor-turned-politician N Sivaprasad will seek a third term in the Lok Sabha from Chitoor. Sivaprasad has gained popularity in the media for adorning different getups while protesting against the Centre’s alleged apathy towards Andhra Pradesh. Kishore Chandra Deo will contest from the tribal-dominated Araku Lok Sabha constituency. Deo is a five-time Lok Sabha member, having first been elected in 1977. Deo was a Minister of State for mines in the short-lived Charan Singh ministry. Three decades later, he served as Union Minister for Tribal and Panchayat Raj Affairs in the Manmohan Singh Cabinet. One of the key politicians from coastal Andhra Pradesh, Deo also served one term in the Rajya Sabha. K Ramamohan Naidu will seek re-election from Srikakulam in Andhra Pradesh. The young face of the TDP in the Lok Sabha, Naidu is the son of former Union Minister K Yerran Naidu. He entered politics following his father’s untimely death in a car accident in 2012. Businessman-politician K Srinivas will be aiming for his second straight term in the Lok Sabha from Vijayawada. K Srinivas, popularly known as Nani, is also a prominent businessman in Andhra Pradesh. Currently, he serves as a member of three parliamentary committees: Committee on Privileges, Standing Committee on Urban Development, and Consultative Committee, Ministry of Rural Development, Panchayati Raj and Drinking Water and Sanitation. Former Union minister Kotla Jayasurya Prakash Reddy will contest on a TDP ticket from Kurnool. He joined TDP in March 2019 along with his supporters. Reddy, the son of former chief minister K Vijay Bhaskar Reddy, is considered the local strongman of Kurnool district. He has served three terms in the Lok Sabha – 1991-1996, 2004-2009 and 2009-2014. He was the Union Minister of State for railways in the second Manmohan Singh ministry. Raghuram Krishnam Raju will contest the election on a YSRCP ticket from Narsapuram. Raju, an industrialist, is considered an influential figure in West Godavari district. He re-joined YSRCP in March 2019 after brief stints in TDP and BJP. In 2014, he failed to get a BJP ticket to contest from Narsapuram. Balashowry Vallabhaneni is a former Member of Parliament from Tenali Lok Sabha constituency. He represented the constituency in the 15th Lok Sabha. Formerly a Congressman, he is now a member of the Jaganmohan Reddy-led YSRCP. YS Avinash Reddy will be seeking re-election from Kadapa. He is a cousin of the party chief Jagan Mohan Reddy. Reddy resigned from his seat last year protesting against the denial of special status to Andhra Pradesh. Notably, Kadapa constituency is prominent in Andhra Pradesh for being the pocket borough of the Reddy family. PV Midhun Reddy, who represented Rajampet in the 16th Lok Sabha, will seek a second term. In June 2018, Midhun Reddy resigned from his seat as a mark of protest against denial of special status to Andhra Pradesh. K Kavitha will be seeking re-election from Nizamabad Lok Sabha constituency. Kavitha, the daughter of Telangana chief minister K Chandrashekar Rao, had won the Nizamabad seat in 2014 by over 1.6 lakh votes. She defeated two-term sitting MP and senior Congress leader Madhu Yakshi Goud. She is considered TRS’ key representative in the national capital. 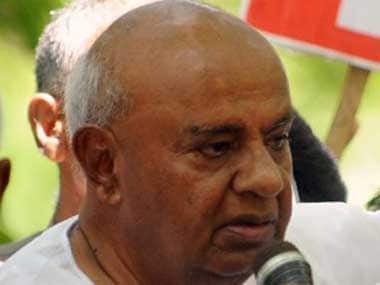 Former prime minister of India HD Deve Gowda will contest from Tumkuru Lok Sabha constituency. He has been the sitting MP from Hassan since 2004. Gowda served as the chief minister of Karnataka between 1994 and 1996. When no party won a majority in the 1996 elections, Gowda became the prime minister after consensus among the constituents of the United Front. However, he remained in office for less than a year and was replaced by his foreign minister IK Gujral. Nikhil Kumaraswamy is the son of incumbent Karnataka chief minister HD Kumaraswamy. He is a popular Kannada actor who made his film debut in 2016. The actor-politician is pitted against Sumalatha, an Independent candidate backed by the BJP. Prajwal Revanna will contest elections from Hassan. This will be Prajwal’s first ever electoral contest. He will contest against Congress rebel A Manju who joined the BJP recently. Hassan is currently represented by his grandfather HD Deve Gowda. KP Satheesh Chandran will be the CPM candidate in Kasargod Lok Sabha constituency. Currently, Chandran is a member of the State Committee of CPM. He has been elected to the Kerala Legislative Assembly in 1996 and 2001. Chandran entered politics through the Students Federation of India. Between 2008 and 2018, he was the secretary of CPM’s Kasargode district unit. Until March 2019, P Jayarajan served as the Kannur district secretary of the CPM. He is considered an influential leader of the LDF in northern Kerala. His candidature is seen as an effort to boost the CPM’s electoral chances in northern parts of the state. Jayarajan is also an accused in the political murders of RSS worker Kathiroor Manoj and IUML activist Ariyil Shokoor. The 30-year-old VP Sanu will be contesting from the Muslim-dominated Malappuram constituency against sitting IUML MP PK Kunhalikutty. Sanu is the current national president of the Students’ Federation of India. Popular Malayalam actor Innocent will seek re-election from Chalakudy. In the 2014 elections, he defeated Congress leader PC Chacko by a margin of over 10,000 votes. In the upcoming elections, like in 2014, Innocent will fight as an Independent but will be supported by the CPM. Innocent has acted in over 700 films so far. Former IPS officer Arup Patnaik will take on BJP candidate Aparajita Sarangi in Bhubaneswar. The 1979 Maharashtra-cadre IPS officer served as Mumbai Police Commissioner between 2011 and 2012. He retired after 36 years of service in 2015. In April 2018, Patnaik joined the Biju Janata Dal. Patnaik is currently the chairman of the State Youth Welfare Board and has been accorded the rank and status of a Minister of State by the Odisha government. Sunita Biswal will contest against Union minister Jual Oram in Sundargarh. She is the daughter of former chief minister and veteran Congress leader Hemananda Biswal. She joined the BJD in March 2019. Previously, she was the working president of the Congress party in Sundargarh district. Pinaki Misra will face off with BJP candidate Sambit Patra in Puri. Misra has been the sitting MP from Puri since 2009. He was earlier elected from this constituency as a Congress candidate in 1996. He is a senior advocate in the Supreme Court of India and specialises in corporate law, foreign exchange, customs laws and constitutional laws. Bhartruhari Mahtab is the sitting MP since 1998. One of the longest serving MPs in the Parliament, Mahtab is recognised for his active contribution to debates in the Lok Sabha. As a result, he was also honoured with the Sansad Ratna Award in 2017. He is the son of former Odisha chief minister Harekrushna Mahtab. Veteran leader Raghuvansh Prasad Singh will contest from Vaishali. Singh earlier represented Vaishali in the 11th,12th,13th,14th and 15th Lok Sabha. He lost the seat to Rama Kishore Singh of the LJP in 2014. He served as Union Minister in the first Manmohan Singh Cabinet, holding the rural development portfolio. He also served as a junior minister in the United Front government. Chandrika Rai will face off with former Union minister Rajiv Pratap Rudy in Saran. He is a senior RJD leader and the father-in-law of Lalu Prasad Yadav’s son Tej Pratap Yadav. However, reports suggest that Rai’s candidature has upset Yadav. Senior RJD leader Abdul Bari Siddique will contest elections from Darbhanga. He is the sitting MLA from Alinagar. He was the finance minister in the RJD-JDU government between 2015 and 2017. In the previous Assembly, Siddique was the Leader of Opposition in the Vidhan Sabha. The Alinagar MLA has also fought twice from Madhubani Lok Sabha constituency but lost both times. Former Bihar chief minister Jitan Ram Manjhi will contest against JD(U)’s Vijay Manjhi in Gaya. Formerly a close aide of chief minister Nitish Kumar, Manjhi was made the chief minister after Kumar accepted responsibility for JD(U)’s poor results in the 2014 Lok Sabha elections and resigned. However, he split from JD(U) in 2015 due to differences with Kumar. 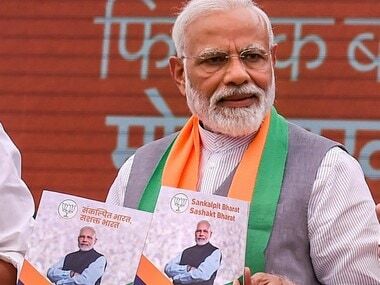 His new party, Hindustan Awam Morcha, initially joined the NDA before crossing over to the mahaghatbandhan. After splitting from the JD(U), veteran leader Sharad Yadav will contest from Madhepura as a mahaghatbandhan candidate. Yadav began his political career as a student leader in Madhya Pradesh before winning the Jabalpur by-election in 1974. He retained the seat in the historic 1977 elections. He served as a minister in the VP Singh and Atal Bihari Vajpayee Cabinets. In total, Yadav has been elected seven times to the Lok Sabha and thrice to the Rajya Sabha. Misa Bharti will once again contest from Pataliputra Lok Sabha constituency. In the 2014 elections, she lost to BJP candidate Ram Kripal Yadav, who was once a senior member of the RJD. Since 2016, Bharti has been representing Bihar in the Rajya Sabha. Former Union Minister Upendra Kushwaha will contest from Karakat, which he won last time by a margin of over 1 Lakh votes. In 2014, he was inducted into the Union ministry as a Minister of State for Human Resources Development. He was a member of the Rajya Sabha between 2010 and 2013. Kushwaha was a member of the Bihar Legislative Assembly between 2000 and 2005, where he briefly also served as the Leader of Opposition. Amar Singh Rai will contest elections as a Trinamool-Gorkha Janmukti Morcha joint candidate from Darjeeling. While Rai belongs to the GJM, he is all set to contest on the Trinamool symbol. He is the sitting MLA from Darjeeling Vidhan Sabha constituency. While being the MLA, Rai was appointed to the board of administrators of the Gorkhaland Territorial Administration (GTA) as a member in charge of education. Prior to entering the Vidhan Sabha, he was the chairman of the Darjeeling Municipality. Notably, Rai is a former vice-principal of Loreto College — now christened Southfield College. Mausam Noor has been the MP from Maldaha Uttar since 2009. Prior to January 2019, Noor was a member of the Congress party. She reportedly switched over to the Trinamool after her proposal for an alliance with the Mamata Banerjee-led party was rejected by the Congress. Noor comes from an influential political family. Her uncle ABA Ghani Khan Choudhury was the railway minister in the Indira Gandhi Cabinet (1980-1984). Her other uncle Abu Hasem Khan Choudhury is the sitting MP from neighbouring Maldaha Dakshin. Mahua Moitra, the incumbent MLA from Karimpur, will contest from Krishnanagar Lok Sabha constituency. Moitra left her lucrative career as an investment banker to join politics. She graduated with a degree in economics and mathematics from Mount Holyoke College, Massachusetts in 1998. She came back to India in 2008 and joined the Youth Congress. Two years later, she switched over to Trinamool Congress. Mamata Bala Thakur has been the sitting MP since 2015. She won the Bangaon bypoll after death of the sitting MP, her husband Kapil Krishna. She is the daughter in law of the late Boroma, the matriarch of the influential Matua community. Former Union Minister Dinesh Trivedi will contest against BJP’s Arjun Singh, who recently quit the Trinamool. Trivedi is the sitting MP since 2009. Before entering the Lok Sabha, Trivedi served two terms in the Rajya Sabha – first as a Janata Dal (Gujarat) nominee between 1990 and 1996, then as a Trinamool nominee between 2002 and 2008. Trivedi served as India’s railway minister between 2011 and 2012. Sougata Roy will seek re-election from Dum Dum Lok Sabha constituency. A veteran Trinamool leader, Roy served in the West Bengal Legislative Assembly for many terms before entering the 15th Lok Sabha. Interestingly, Roy was also elected to the 6th Lok Sabha (1977-1979) from the same constituency. In the second Manmohan Singh ministry, Roy served as junior minister for urban development. Kakoli Ghosh Dastidar has been the sitting MP from Barasat since 2009. A trained doctor, she earned her medical degree from RG Kar Medical College and Hospital, Kolkata. She also did a Post Graduate Training in Obstetric Ultrasound. Her husband, Sudarshan Ghosh Dastidar, is one of the leading experts on fertility in the world. He is a sitting MLA from Mahisadal Vidhan Sabha constituency. One of the youngest members of the 16th Lok Sabha, Abhishek Banerjee is the sitting MP from Diamond Harbour. He is the nephew of West Bengal chief minister Mamata Banerjee and the national president of the Trinamool Youth Congress. Sudip Bandyopadhayay will seek his third straight term from Kolkata Uttar. A senior leader of the Trinamool, Bandyopadhyay represented Bowbazar in the state Assembly between 1987 and 1996. He again held the seat between 2006 and 2009. He was Union Minister of State for Health and Family Welfare in the second Manmohan Singh ministry. Kalyan Banerjee is the sitting MP since 2009. He has been designated as Senior Advocate and practices at Calcutta High Court since 1981. He also practices at Supreme Court of India. Prior to entering the Parliament, Banerjee was a member of the state Assembly between 2001 and 2006. He was also the vice-president of the West Bengal Youth Congress between 1991 and 1997. Popular Bengali actor Deepak Adhikari ‘Dev’ will seek re-election from Ghatal, which he won in 2014 by a margin of over 2.6 lakh votes. He made his film debut in 2005 and since then he has tasted success as an actor, director, singer and producer. Mamataz Sanghamita has been the sitting MP from Bardhaman-Durgapur since 2014. A gynaecologist by profession, she served as the head of Department of Gynaecology at Calcutta Medical College and Hospital. Sanghamita hails from a prominent political family. Her father, the late Syed Abul Mansur Habibullah, was a former Speaker of the West Bengal Assembly. Senior leader Jagir Kaur will contest elections from Khadoor Sahib in Punjab. In 1999, Kaur became the first woman to hold the position of president of the Shiromani Gurudwara Prabhandak Committee, which manages Gurudwaras across Punjab, Haryana, and Himachal Pradesh and union territory of Chandigarh. A member of the Akali Dal since 1995, Kaur was elected to the Punjab Assembly in the 1997 elections. Subsequently, she was made a minister in the Parkash Singh Badal Cabinet. She retained the seat in 2002 but lost it in the 2007 Assembly elections. However, she managed to win back the seat in 2012. Veteran Akali leader Charanjit Singh Atwal will contest from Jalandhar Lok Sabha constituency. Atwal was the Deputy Speaker in the 14th Lok Sabha. He is a two-time Member of Parliament from the former Phillaur Lok Sabha constituency. He has also served as Speaker of the Punjab Legislative Assembly twice: 1997-2002 and 2012-2017. Raghav Chadha is the national spokesperson of the Aam Aadmi Party. Chhada is also a member of the National Executive of AAP. Chadha was part of the team that drafted the AAP manifesto in 2013. After serving as National Treasurer, he has now been made the litigations in-charge of the party. Dileep Pandey is the former convenor of the Delhi unit of Aam Aadmi Party and the National Spokesperson of the party. Born in Zamania, a tehsil in eastern Uttar Pradesh, Pandey entered public life during the anti-corruption movement led by India Against Corruption. He left his IT sector job in Hong Kong to join Arvind Kejriwal, who was leading the Jan Lokpal movement. Apart from politics, Pandey is also a published author. Atishi will contest elections from East Delhi. In fact, she was named the candidate way back in August 2018. Atishi, who rose to prominence as a media face of the Aam Aadmi Party, also helped draft the 2015 Delhi election manifesto. She served as an advisor on education to the AAP government between 2015 and 2018. Atishi was instrumental in creating the Happiness Curriculum, which is designed to increase the “happiness equality” levels of students. Shivajirao Patil has been the sitting MP from Shirur since 2009. Between 2004 and 2009, Patil represented Khed Lok Sabha constituency, which no longer exists. Patil is also a businessman who founded Dynalog in 1978. The company provides Intelligent Automation solutions on a turnkey basis to its clients. Union Minister Anant Geete will contest elections from Raigad. He has been the MP from this constituency since 2009. In 2014, he defeated NCP’s Sunil Tatkare by a very narrow margin to retain the seat. Geete is also the lone Shiv Sena representative in the Narendra Modi Cabinet. He holds the portfolio of heavy industries and public enterprises. He was also the power minister in the Vajpayee Cabinet. Geete represented the former Ratnagiri Lok Sabha constituency between 1996 and 2009. Arvind Sawant will once again take on former Union Minister Milind Deora in the prestigious Mumbai South Lok Sabha constituency. A noted union leader, he is the president of the Mahanagar Telephone Nigam (MTNL) Kamgar Sangh. He served two terms in the Maharashtra Legislative Council between 1996 and 2010 before entering the Lok Sabha in 2014. Senior Shiv Sena leader Anandrao Adsul will contest elections from Amravati, where he has been the sitting MP since 2009. Earlier, he represented Buldhana in the 11th,13th and 14th Lok Sabha. A veteran parliamentarian, Adsul has been awarded the Sansad Ratna for his active role in the Parliament. He has also served as Minister of State for Finance in the Vajpayee-led Council of Ministers. Gajanan Kirtikar is the sitting MP from Mumbai North West. He defeated veteran Congressman Gurudas Kamat by a margin of over 1.8 lakh votes. Before entering the Lok Sabha, Kirtikar represented Malad in the Maharashtra Assembly between 1990 and 2009. He was also a minister in the Manohar Joshi and Narayan Rane-led governments. Parth Pawar is the grand nephew of NCP supremo Sharad Pawar and the eldest son of former state minister Ajit Pawar. The 28-year-old is a commerce graduate from Mumbai’s HR College. He also holds a post-graduate degree from a university in London. 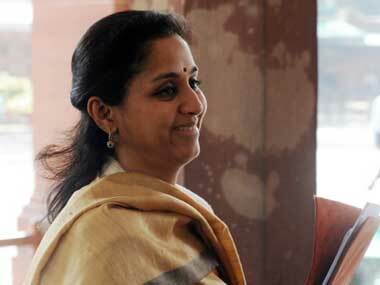 Supriya Sule, the daughter of NCP supremo Sharad Pawar, will seek her third term in Lok Sabha from Baramati. She was earlier elected to the Rajya Sabha in 2006. Sule is known for her active participation in parliamentary debates and has run campaigns against female foeticide in Maharashtra. In 2012, she was instrumental in launching the Rashtravadi Yuvati Congress, a platform for young women to participate in politics. Sangram Jagtap will take on Sujay Vikhe Patil of the BJP in Ahmednagar Lok Sabha constituency. Jagtap is currently an MLA representing Ahmednagar in the Maharashtra Assembly. A young face of NCP, Jagtap was arrested in 2018 for the murder of two Shiv Sena leaders in Ahmednagar. Sanjay Shinde is the president of the Solapur Zilla Parishad, which he managed to win with the support of the Bharatiya Janata Party (BJP). Shinde is considered an influential figure in Solapur’s politics. He is the brother of Babanrao Shinde, the NCP legislator from Madha. Shinde is also a supporter of NCP leader Ajit Pawar and an adversary of the Mohite-Patil clan. Raju Shetti is a prominent farmer leader and the founder of the Swabhimani Paksha. In 2001, he fought the Zilla Parishad from Udgaon and won. In 2004, Shetti was elected to the Maharashtra Assembly from Shirol as an Independent. In the 2009 elections, he fought from Hatkanangle and defeated sitting MP Nivedita Sambhajirao Mane. He retained his seat in the 2014 Lok Sabha elections. Sanjay Dina Patil will take on BJP’s Manoj Kotak in the Mumbai North East Lok Sabha constituency. Patil, a senior NCP leader from Mumbai, lost the 2014 elections to the BJP’s Kirit Somaiya, who has been denied a ticket this time. In 2009 elections, he defeated Somaiya by a slender margin of 2,933 votes. Prior to entering the Lok Sabha, Patil was an MLA. Agatha K Sangma will contest the elections from Tura in Meghalaya. She was first elected from this constituency in a 2008 bypoll, after her father, the late PA Sangma, chose to re-enter state politics. Sangma successfully defended her seat as an NCP candidate in the 2009 elections. Subsequently, Sangma was sworn in as a junior minister for rural development, a position she continued to hold until October 2012. Tokheho Yepthomi is the sitting MP from Nagaland. Yepthomi entered the Lok Sabha in a bypoll last year. He has served as a cabinet minister for Transport and Communication, Public Health Engineering Department and Public Works Department from 1995 to 2008 under former Chief Ministers SC Jamir and Neiphiu Rio. He served as the Congress Legislature Party leader and Leader of Opposition in the state Assembly from 2010 to 2015. National Conference chairman Farooq Abdullah will seek re-election from Srinagar, a seat he regained in the 2017 by-elections. Abdullah represented the seat in the 15th Lok Sabha before losing to PDP candidate Tariq Hameed Karra in the 2014 elections. Abdullah served as a Union minister in the Manmohan Singh Cabinet between 2009 and 2014. Abdullah has also served three terms as Jammu and Kashmir’s chief minister. PDP president Mehbooba Mufti will contest for the third time from Anantnag. Mehbooba previously held the seat in the 14th and 16th Lok Sabha. She resigned as MP after taking over as the chief minister of Jammu and Kashmir, a position she held between 2016 and 2018. She began her legislative career in 1996, when she was elected to state Assembly from Bijbehara. She was re-elected to the Assembly from Pahalgam in the 2002 elections. Babulal Marandi will seek to re-enter the Lok Sabha by winning the Koderma Lok Sabha seat. He previously held the seat in the 14th and 15th Lok Sabha. Marandi served as a minister in the Council of Ministers led by Atal Bihari Vajpayee before taking over as the first Chief Minister of Jharkhand. Following differences with the party leadership, Marandi split from BJP and formed Jharkhand Vikas Morcha (Prajatantrik) in 2006. JMM chief Shibu Soren will seek re-election from Dumka, his traditional bastion. Soren has been the sitting MP since 2002 and previously represented Dumka in the 7th,9th,10th and 11th Lok Sabha. Soren, popularly called Guruji by his supporters, has also served three brief terms as chief minister of Jharkhand.